What is the EuroApprentices Network? 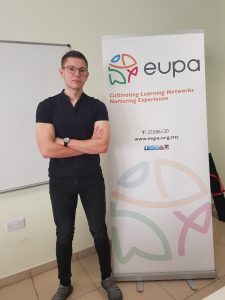 The EuroApprentices Network is a network that connects apprentices or young people following a work-based learning experience in a Vocational Education and Training field. What is the main objective of the EuroApprentice Network? 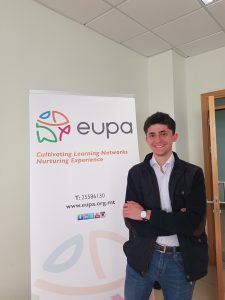 The main objective of the EuroApprentice Network is that of bringing mobile apprentices who had benefited from the Erasmus+ programme together so that they can disseminate their individual success stories of learning mobility abroad. It aims at promoting the VET sector and to encourage other young people to join VET institutions and undertake apprentices and work-based-learning schemes. EuroApprentices – Who are they? EuroApprentices are enrolled in training which is regarded in the national VET system as apprenticeship or a Work-Based-Learning Scheme. 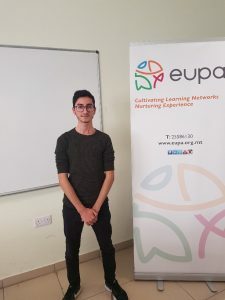 An EuroApprentice in perceived as someone who has gained working experiences while being trained in his home country and has benefited from the Erasmus+ programme by realising a stay abroad during his/her study. EuroApprentices work towards encouraging and motivating other young people and learners to join VET institutions, undertake apprenticeships and work-based-learning and go on an Erasmus+ experience abroad. Who can become a EuroApprentice? S/He is motivated to promote and increase awareness on the benefits of the VET sector, apprenticeships and the Erasmus+ programme. In full collaboration with the Malta College of Arts, Science and Technology (MCAST), five students, currently undertaking their studies at MCAST, were selected as EuroApprentices. The 5 EuroApprentices need to work towards encouraging and motivating other young people and learners to join VET institutions, undertake apprenticeships and work-based-learning and go on an Erasmus+ experience abroad. This is done through the number of activities that EUPA organises throughout the year. 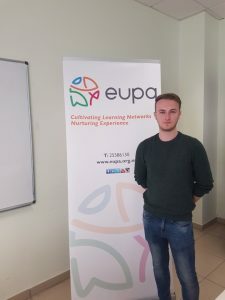 EUPA had started this journey by organising a half-day event for the 5 EuroApprentices whereby they got to know each other and were further informed on the EuroApprentices Network and the Erasmus+ programme. Below you may find some of the day’s highlights. The EuroApprentices are also being provided training on various topics. The first training course that was provided by EUPA focused on Public Speaking Skills. 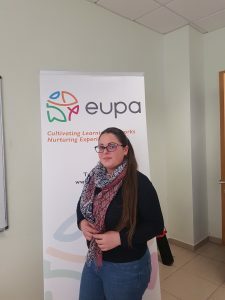 The two-day training course was delivered by a professional public speaker and was welcomed by the EuroApprentices since the skills gained will not only serve them during their adventure as EuroApprentices but also through their careers.